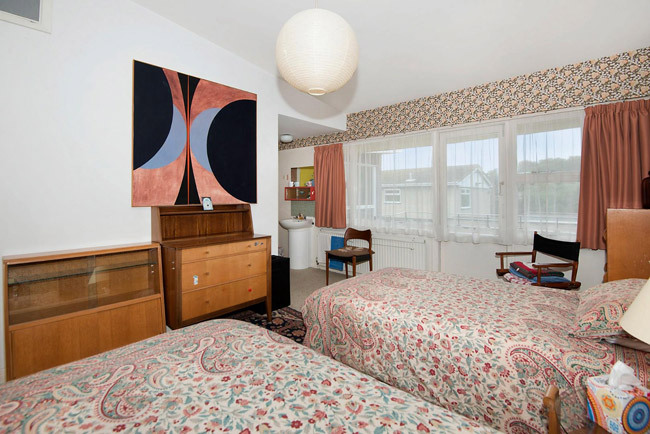 Fancy a trip back to the 1960s? I have just the thing. 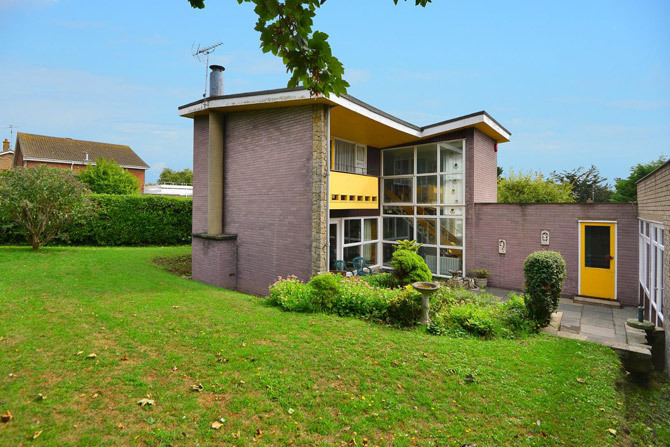 This 1960s midcentury time capsule in Broadstairs, Kent. And I’m not just talking about the exterior of this house. Everything about it is a hop back several decades. 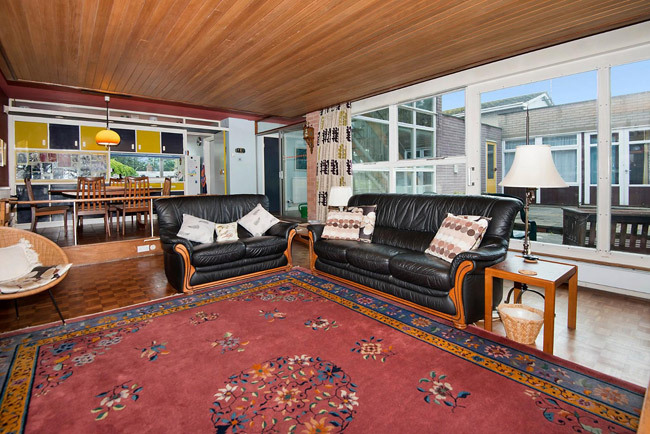 With the exception of the odd bit of furniture (and I mean a bit), this house has not changed since the early-to-mid 1960s. Someone obviously had a bit of money to throw around during that decade. Perhaps a musician or music producer? 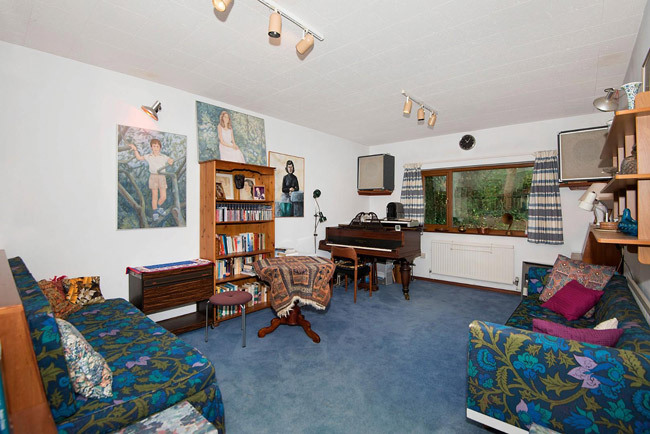 There’s strong evidence for that in the form of those gold discs and the presence of a music studio. But there’s more to this than a possible celebrity association. The architecture for one, which is a heavily glazed build with angled roof, finished off with a rather wonderful and colourful balcony area. If that’s not enough, check out that interior. I do use the term ‘time capsule’ regularly and for good reason. But few quite fit the bill as much as this one. Usually it’s a case of the main details still being in place, but with this house, it’s the smaller details too. 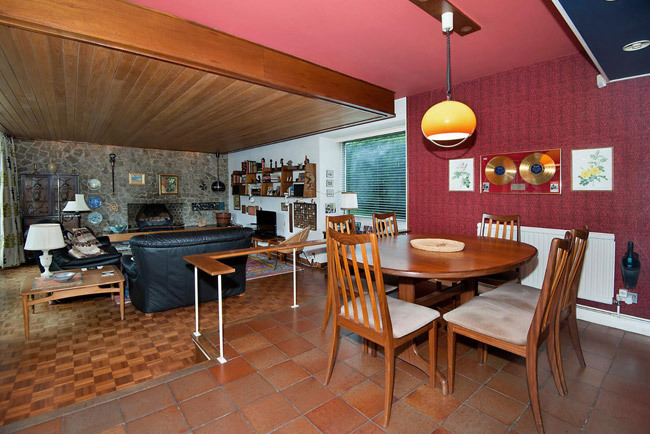 In the case of there former, we are talking stone feature walls, parquet floors, wood clad ceilings, the original kitchen and bathroom space, original built-in furniture and the original staircase (against a heavily glazed backdrop). 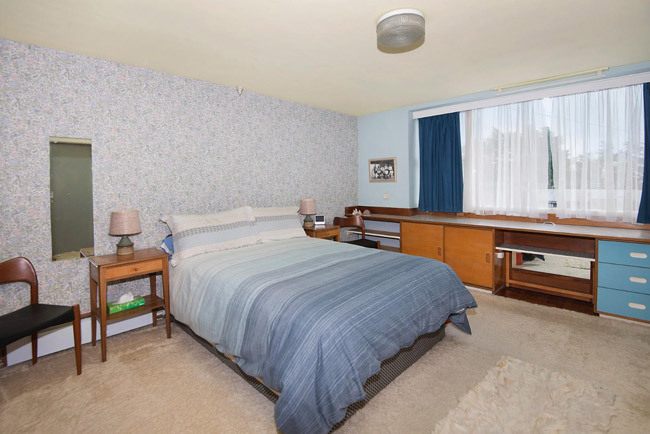 But look beyond that and you can see plenty of 1960s furniture and furnishings, original wallpaper and light fittings and quite possibly, the original bed coverings. Yes, some work will be required to bring it back to its best. 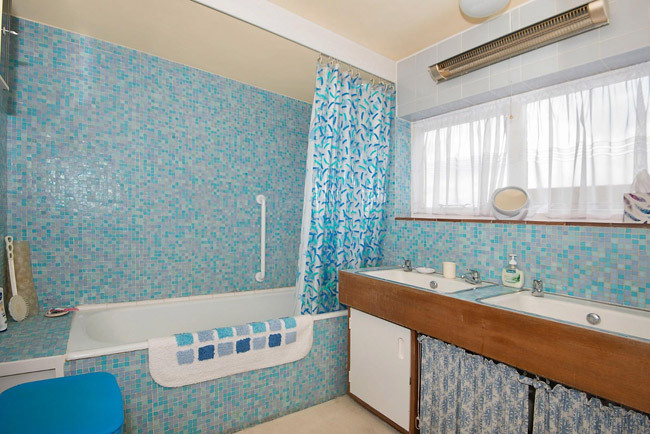 I’m not sure I could live with that bathroom, for example. 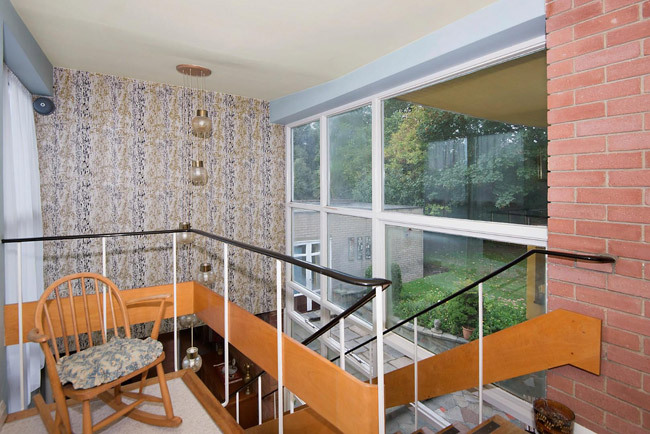 But if you are a fan of the 1960s, this might well be your dream home. As a bonus, it’s also not far from the beach too, which is always appealing. 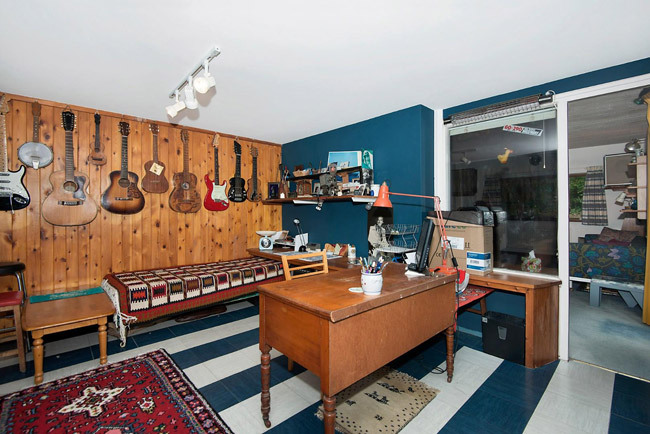 Decent amount of living space as well. 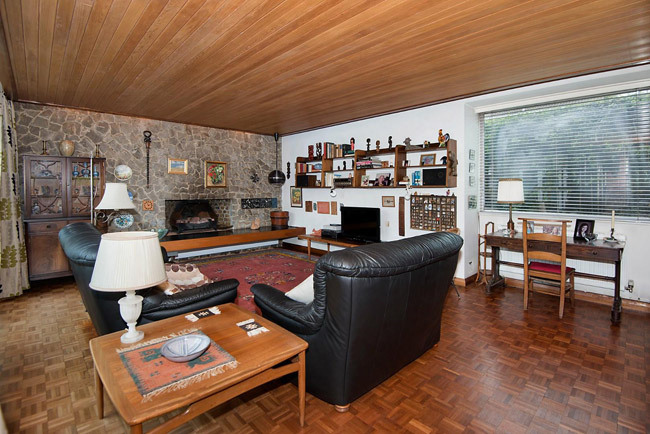 The ground floor is made up of a large entrance hall, what’s described as a ‘spacious lounge’ with a raised dining room, the original kitchen, a utility room, a downstairs shower room and fourth bedroom, originally planned as a music studio. 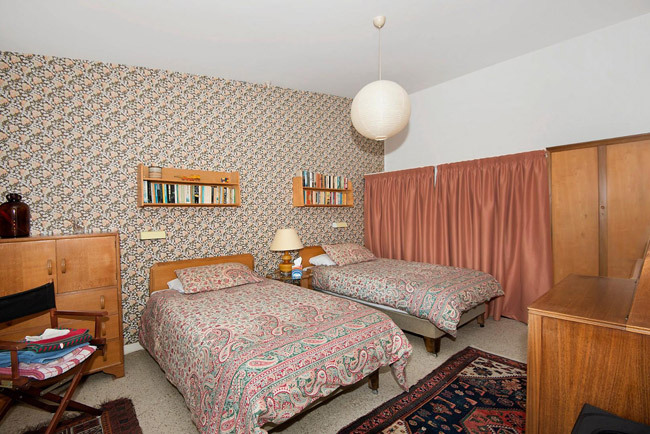 On the first floor are three good size bedrooms, all oozing originality, along with a family bathroom. 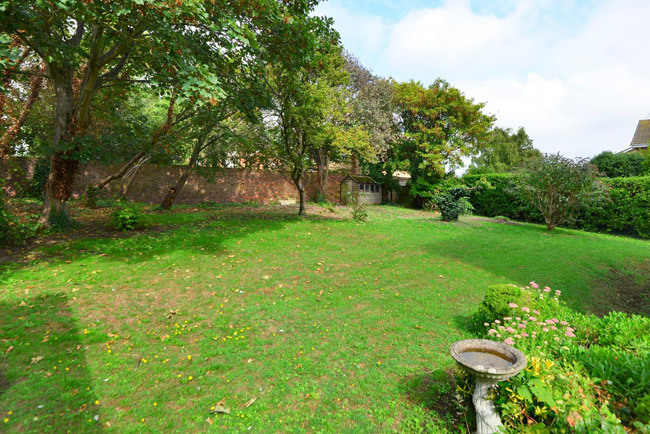 Outside is a walled garden which is laid to lawn, along with off street parking which leading to the double car port. 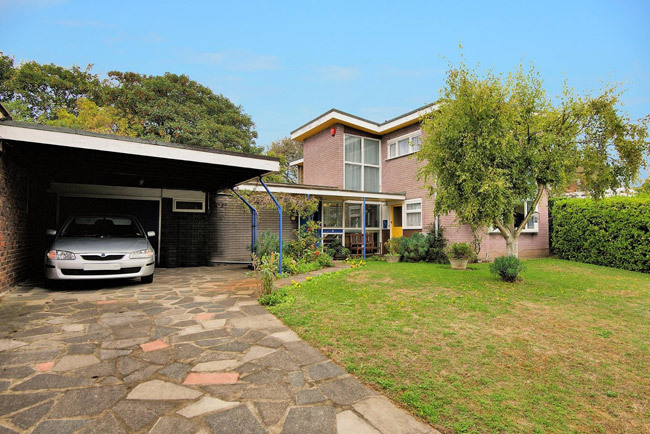 If you want to know more or want to view it, get in touch with the agent. 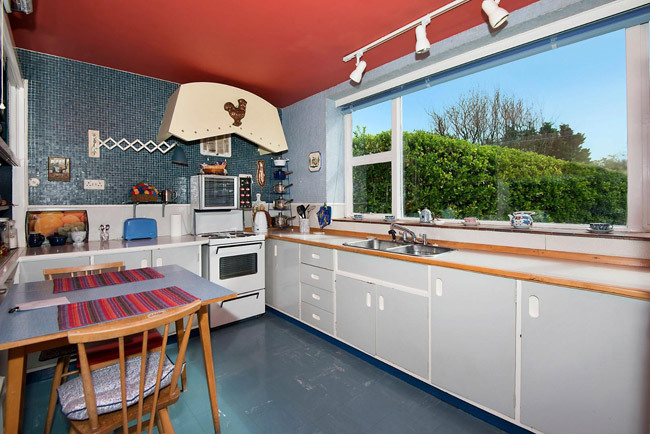 It is on the market for offers over £560,000. 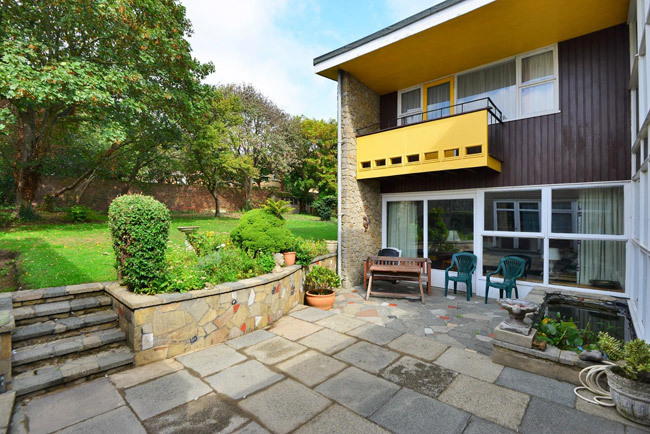 The agent is Miles and Barr and if you want to know more, please visit the website or Zoopla page.